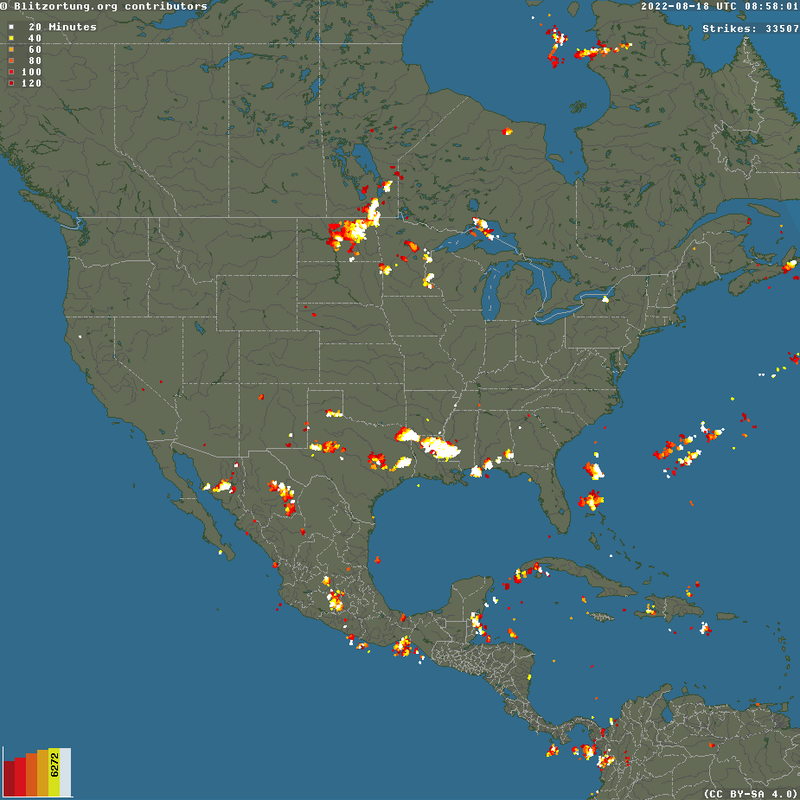 Real time Lightnings on United States and North America. Refresh page for updates. Real Time Lightning Loop on US. Lightnings USA. Real-time lightning and near real-time lightning data offer important benefits to numerous operational activities such as personnel and equipment safety, immediate causal analysis, rapid deployment, situational awareness and tactical planning. USPLN and NAPLN data consist of comprehensive cloud-ground lightning stroke detections with some cloud flash data. Data is available for almost any size area via the Internet with several format and delivery options to accommodate the needs of all customers and users.